Welcome to the Aphasia Research Laboratory at Boston University, Sargent College. The Aphasia Research Lab is directed by Dr. Swathi Kiran, Professor in the Department of Speech, Language and Hearing Sciences, Sargent College. 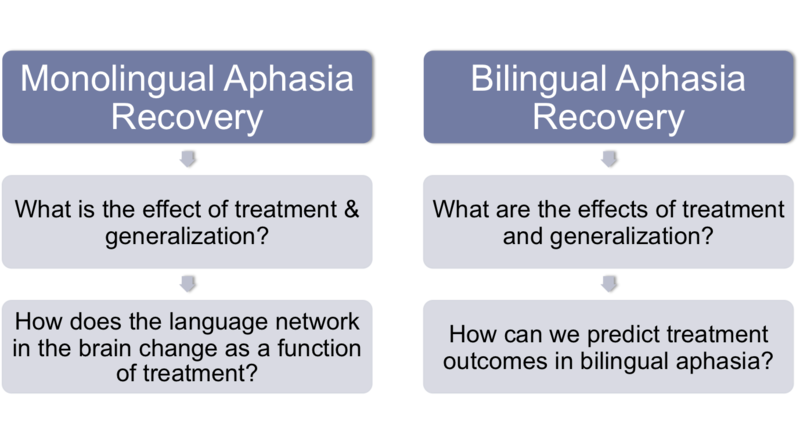 The primary goal of the Aphasia Research Lab is to understand language processing and communication following brain damage. We are also involved with Constant Therapy Inc., an online health system that provides ongoing rehabilitation services to patients via iPads and Android devices. Constant Therapy rehabilitation services currently focus on patients with communication and cognitive disorders. The primary goal of our research is to further our understanding of the effects of brain damage on communication. We are interested in language processing and language recovery mechanisms in normal individuals and patients with brain damage. We combine technology-based experiments along with paper and pencil tasks to investigate various aspects of lexical semantic processing (words and their meanings) in normal individuals and individuals with aphasia. Additionally, a major focus of our research is to develop treatment methods to alleviate language deficits. 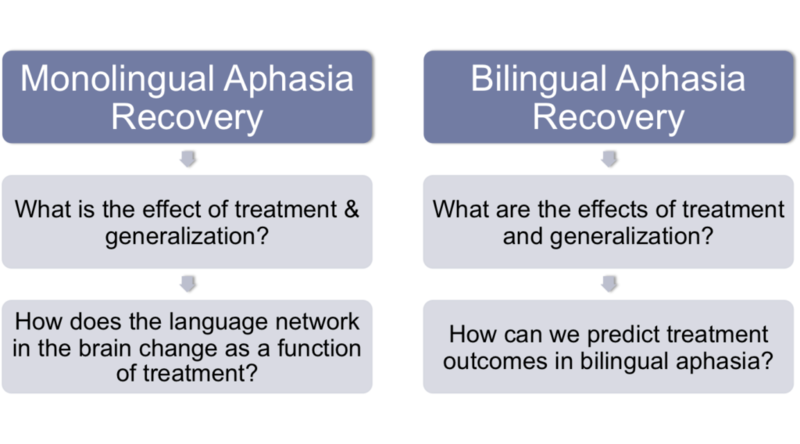 We hope to demonstrate that following brain damage, language recovery can take place in a predictable manner, and can be far more efficient than traditional approaches. Swathi Kiran talks at the Sargent Health Matters Conference. Our involvement with the Aphasia Resource Center and patients who come to receive therapy.